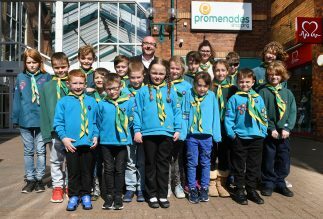 The Promenades Shopping Centre has named the 6th Bridlington Scouts as their Charity of the Year 2019. The announcement follows an invitation to the people of the town to nominate the charity they want the Promenades to work with over the next 12 months. A wide range of nominations were received from a variety of charities, community groups and sports teams. The 6th Bridlington scouts were chosen after an extensive process which saw the management team meet with several of the nominated charities to further discuss the plans for the year ahead. The charity of the year will host a wide range of events and fundraising efforts throughout the year to help promote the fantastic service they offer to local children. As well as being Charity of the Year 2019, the 6th Bridlington scouts will also partner the Promenades on the Promenades Extraordinary People Awards 2019, an annual awards ceremony that has become a highlight of the town’s social events calendar. Carl Brown, centre manager for The Promenades, said: “We are absolutely delighted to name the 6th Bridlington scouts as our Charity of the Year. The nominations allowed the people of Bridlington to decide who should benefit from our fundraising support over the next year, so this is very much the people’s choice. 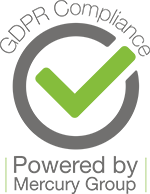 “It was extremely difficult to choose who our charity of the year would be from those nominated, all those who came forward were excellent and each would have been fantastic to work with in 2019. Sharon Taylor, Scout Leader in the 6th Bridlington scouts, said: “It’s a great opportunity for local children to show off their skills and community spirit in a fun way and to show other children and parents that scouting can be very rewarding and great skills can be achieved. The Promenades will provide us with valuable space and resources which will allow us to do some vital fundraising so we can keep going on more adventures with our group, so thank you to the Promenades for allowing our group this great opportunity. The Centres new charity of the year the 6th Bridlington Scouts. Pictured with the scouts Centre manager Carl Brown.